This is a feature in WPMU Domain Mapping which includes integration with eNom but I don’t think this was mentioned other than the DM plugin before… and we’re a Platinum Reseller, so get decent rates. We can offer a free domain name with higher plans (one for the main site) and to buy for any site. This is done from inside their WP Admin area in the domain mapping so no need for anything public in design but this is a feature. Every best practice starting with Cloudflare Pro for their domain and DNS before traffic even comes to our server. Then our servers are high-availability clusters, completely optimized Nginx, memcache, redis, gzip, wp-rocket, CDN served files, etc. which can often serve without even calling PHP for static content. 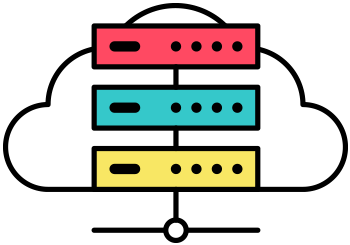 Our cloud servers can instantly add resources as needed which is why we don’t restrict customers to 512MB or 1GB of RAM like the competitors. Each site can handle thousands of hits per second which is why in our strategy we would rather focus on monthly hits. We will take regular backups of our network as needed but will also allow customers to use a premium plugin to create backups as much as they want which can be stored locally (not recommended and uses their quota), downloaded to their computer or even stored to Google Drive, Amazon S3, etc. With our service people can’t add themes or plugins as that requires server access and would also be a security risk if someone uploaded a plugin that allowed them to run MySQL queries and such. To get around this we do allow users to request a plugin or theme that is missing and send us the zip file if needed to install it. Also as stated above this helps to guarantee their site security and optimal performance by making sure only the best quality plugins are used. We also include a huge collection of free paid themes which are high quality that often meet the needs of our clients better than the free plugin they may have used before. With our Cloudflare account every user gets the premium feature of “Unlimited DDoS protection” which is made specifically to offer the highest level of attack support that Cloudflare offers. Additionally our team will get notifications and alerts instantly if there’s any problems. Then your devs will be adding some good monitoring tools so we can let our customers know we have an operations team watching the servers and their sites 24/7 and ready to respond to any needs. We include the WPMU Tutorials plugin to give white labeled videos on how to use all the most common features of WordPress so the users get the free training videos which are pretty good. Beyond this users can use our “admins only forum” we will setup or our Basic Support (X hours to respond), or our Premium Support which will be live chat and faster email. No phone is planned. We will setup an admins only forum for community support and offer a ticketing system to everyone but Premium Support will come with higher plans so when they submit tickets our team gets instant notification to respond faster to those tickets and they will have Live Chat, initially with hours then 24/7. This is referring to the Cloudflare Pro which is worth $120/yr per site, but we can also offer a few hours of our $30/hr customization service for “free first time site setup” on higher plans. Most powerful hosting service you will ever get.